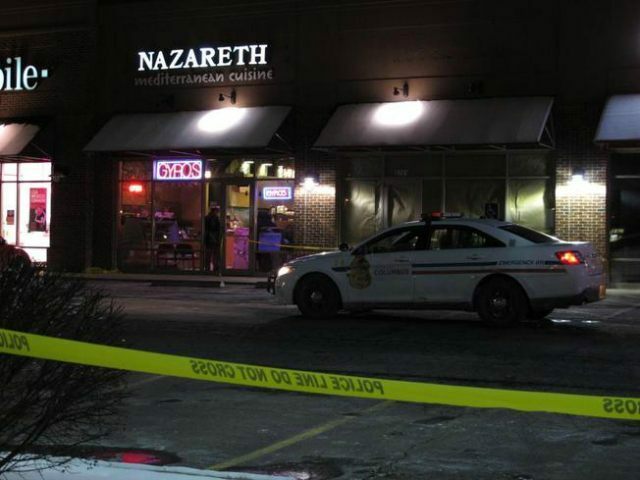 During a radio interview on Sunday, the Israeli Arab owner of the Columbus, Ohio, restaurant attacked by a machete-wielding Muslim immigrant from West Africa said he “most definitely” believes the incident was a terrorist act. Hany Baransi, the Israeli Arab owner Nazareth Mediterranean Cuisine, revealed in the interview that he often argued with local Arabs about his staunch pro-Israel views. Baransi was speaking on “Aaron Klein Investigative Radio,” the popular weekend talk radio show broadcast on New York’s AM 970 The Answer and NewsTalk 990 AM in Philadelphia. Klein doubles as Breitbart Jerusalem’s bureau chief and senior investigative reporter. Klein asked Baransi to elaborate on his outspoken views. The restaurant owner said he often debated with local Arabs who expressed anti-Israel sentiment. When I meet Arabs, they ask me “where are you from.” I say, “I’m from Israel.” And then they start arguing about Palestine and stuff. You might be Palestinian. I’m not. I’m Israeli. I have Israeli citizenship. I’m a proud Israeli citizen. Israel to me is the greatest country in the Middle East. And I’m tired with people putting us down and putting the Jewish people down. And I defend that. Baransi said he was born in Haifa, Israel in 1965 and was raised Catholic. He said he immigrated to the U.S. in 1983. According to Baransi, the suspected attacker, Mohamed Barry, 30, came into the Nazareth restaurant thirty minutes before the attack and inquired about Baransi’s Israeli background. “Then he left, came back thirty minutes later with a knife and machete and walked into the restaurant and went from one table to another slashing people,” Baransi stated. Barry injured four people in the brutal attack before taking off and being chased down by local police who were able to identify his vehicle utilizing witness reports. The suspect eventually made it out of the vehicle with a machete and another knife in hand. Barry’s uncle told local media that the suspect was born in Guinea and moved to the U.S. in 2000, living mostly in Philadelphia, and then moving about two years ago to Columbus. NBC4 in Columbus quoted law enforcement sources saying the FBI had investigated Barry four years ago over expressing radical Islamic views. According to Fox News, federal authorities are investigating whether the carnage was a lone wolf terror attack, while local police say there is no evidence of a terrorist motive. CBS News homeland security correspondent Jeff Pegues reported local officials believe Barry may have traveled to Dubai in the United Arab Emirates in 2012.